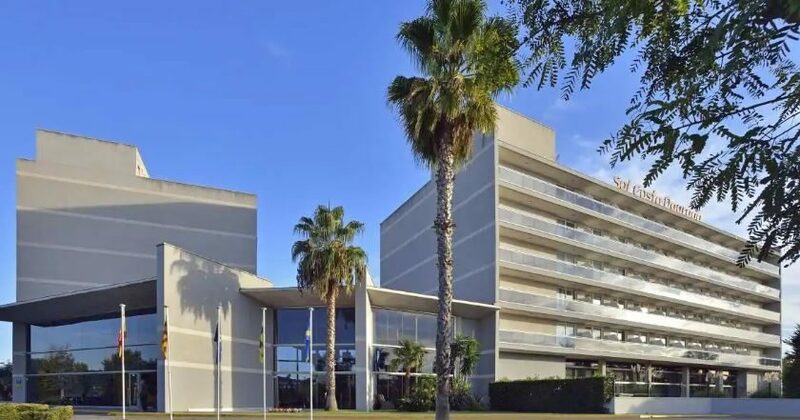 Hotel Sol Costa Dorada is an elegant 4* hotel situated in Costa Dorada south of Tarragona. With its two outdoor pools and convenient location its easy to see why this is a popular hotel amongst holidaymakers particularly families. 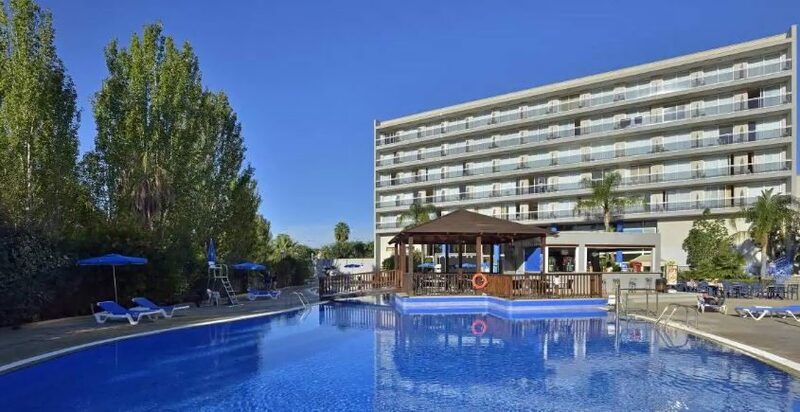 The hotel is just a short travel from Portaventura; Spain's largest theme park. 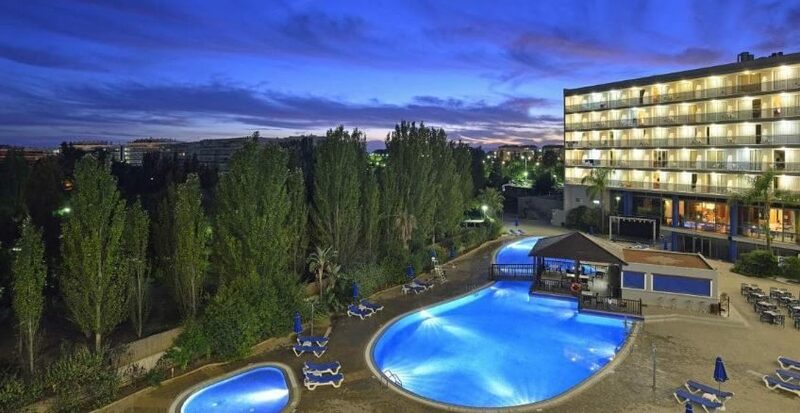 Also, with an approximate 12 minute walk to the nearest beach, Hotel Sol Costa Dorada is in the perfect location to reach all the main attractions. If you want to venture a little further out, then Barcelona is also less than an hours travel. Back at the hotel, each room is fitted with a balcony where youll be able to relax and enjoy the scenic views looking out towards the resort all from the comfort of your room. Free Wi-Fi is also available in all of the rooms; meaning youll be able to stay occupied even after a long day out in the sun. 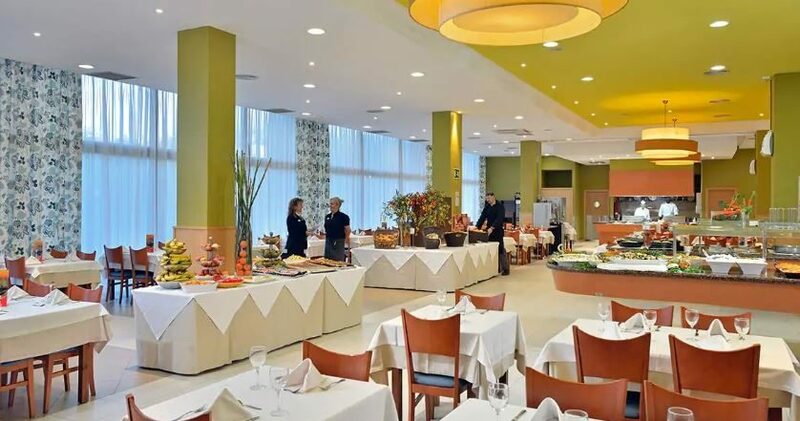 The hotels restaurant serves an extensive range of buffet-style cuisines for breakfast, lunch and dinner. There are also a total of three bars onsite that offer snacks and light refreshments throughout the day. 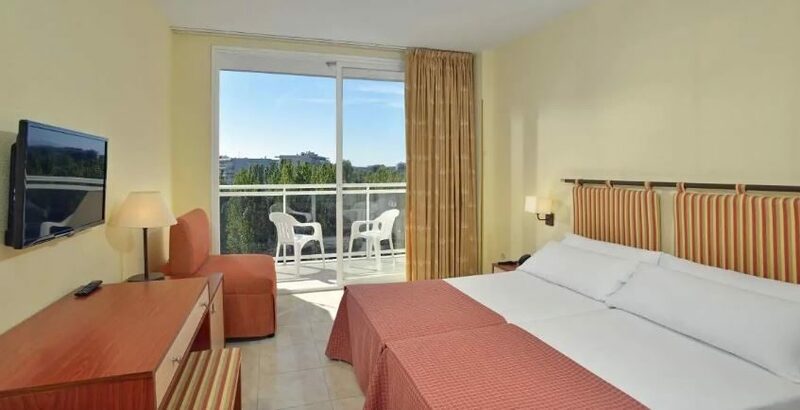 The Hotel Sol Costa Dorada offers plenty of facilities to help you relax and enjoy your stay. 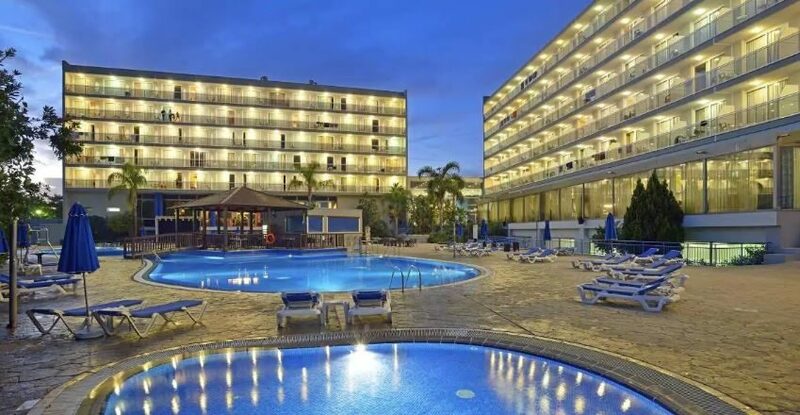 Highlights include: two outdoor swimming pools (one lagoon-shaped and one childrens pool), games room, childrens play area, room service, private night-time security throughout the hotel, free Wi-Fi, 24 hour wake-up call and 24 hour reception. 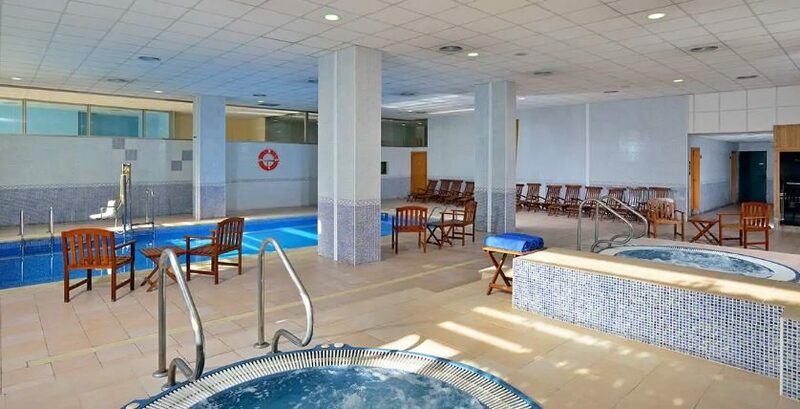 There is also a wellness centre with a heated pool, a sauna, a Turkish bath, two hydro massages, two massage/tanning cabins and a fully equipped gym. There are a total of 300 rooms, across 5 floors and in two different sizes. The standard sol room comes with either twin beds or a queen size bed. The family room comes with a queen size bed and a sofa-bed. All rooms have several features. Highlights include: balcony, flat-screen TV, air conditioning, garden view, pool view, satellite channels, hair dryer and free Wi-Fi. The onsite restaurant is a buffet-style restaurant for breakfast, lunch and dinner. There are also three bars in total. 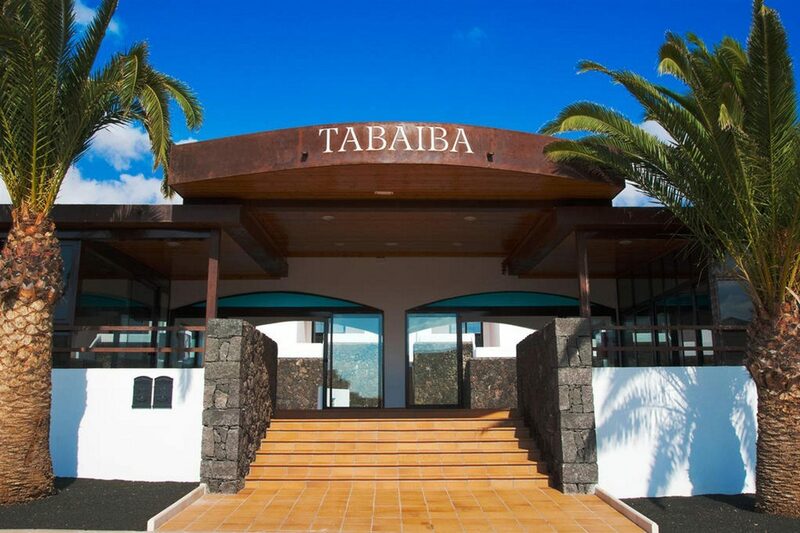 There is a pool bar, a lobby bar and a snack bar; all of which sell light snacks and bites to enjoy while relaxing onsite. There is also an English pub onsite The Kingdom of the Pint. 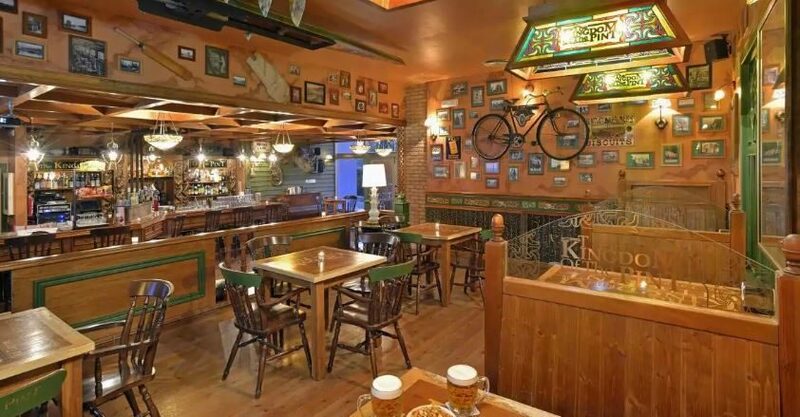 Here, youll be able to choose from typical pub grub such chips, pizzas, hamburgers, chicken wings, chicken nuggets and onion rings.